Pancreatic Cancer Action is working to improve survival through early diagnosis. 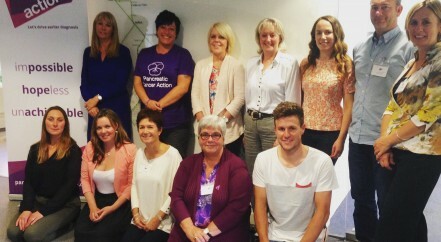 We work to raise awareness of the signs and symptoms of pancreatic cancer to the public and medical communities. We develop educational programmes for clinicians so they can spot the disease sooner and we fund research specifically aimed to improve early diagnosis of pancreatic cancer. We are a very small team and there is lots of work to be done. From sending out awareness materials in the post to helping with our accounts, or for more involved project work, there is something for everyone. Do please let us know in advance if you are coming along so we can be ready to welcome you. If you would like to volunteer at our office, please contact us or call 0303 040 1770 during office hours. We welcome enthusiastic people to join our small friendly team. See below for our current vacancies and volunteering opportunities.